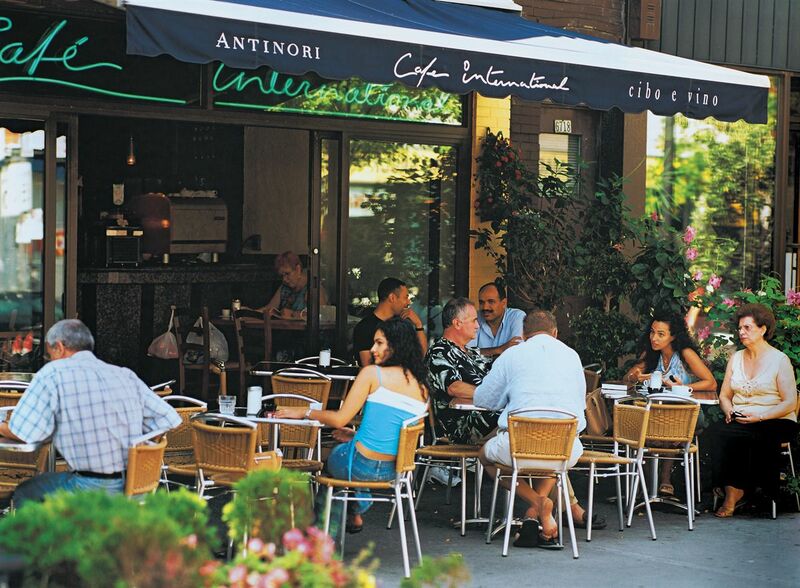 See the sights and experience authentic Italian cuisine when you stroll through Little Italy. Experience the neighborhood restaurants and landmark churches that have made Montreal’s Little Italy famous for tourists and locals alike. Just a short trip north of Le Plateau, Little Italy has been home to Montreal’s largest ethnic group since the early 1900s. Along with discovering a wide array of truly delicious dishes from the wonderful restaurants in the area, Little Italy also offers a feast for the eyes as well as the appetite. Filled with historical attractions and popular points of interest, Little Italy has several places you won't want to miss, including the Jean Talon open market, Dante Park, and Fresco Décor by Painter. You can also shop for Italian clothes and shoes on St. Laurent Boulevard or visit La Difesa Church, which has been in operation for over a century.